Happy New Year! I hope your homes helped you enjoy the holiday season and support all that you did and all that happened there. Those of us who decorated our places to enhance the festive mood have been busily getting things back to normal or better. While we enjoyed the special feeling and memories the decorations provided, most of us want to put it all away and simplify our surroundings. The New Year gives us a starting point for making all sorts of promises of improving many aspects of our lives. 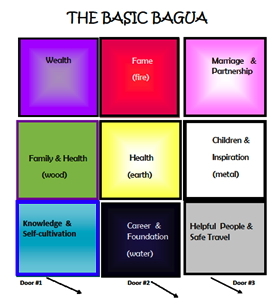 This is a good time to take out the bagua and let our house help us with our goals. Find the areas in your house (wealth, partnership, career, etc.) that you want to work on in 2012. 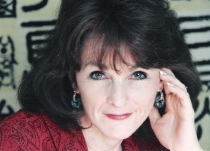 Check out any imbalances or problems in that area. Fix the physical problems (oil squeaky hinges, clear any clutter, etc.) and then add something significant that would represent what it is that you want in 2012 (like a picture of the people you want to help you in your helpful people area, the description of the ideal job you want in your career area, etc.) If there is no specific item that means anything special to you for that desire, add a multifaceted crystal ball (a powerful energizer) hanging on a red cord or ribbon cut in increments of 9 ( 18 inches, 27 or 36 inches). Whatever you place in whatever area of the house or room, be sure to state what you desire, that is to say, the purpose or the intention of the cure. Visualize this request coming to fruition. Put your body, mind and spirit into your request. This will focus the energy of the crystal and you will be reminded of your goal everyday as you pass by it – if not consciously, subconsciously. Sometimes we don’t get what we want because we don’t ask or put out our desires. Chinese New year celebration begins on the new moon after the sun is in Aquarius. This year it is January 22 / 23rd. The festivities continue for several weeks in Asia. Much like the Western New Year, people are looking for a fresh start and the best luck possible. They like to welcome in a new year with a clean house that is fixed up and often has a fresh coat of paint or a newly painted front door. A house swept clean before the new year makes way for the new energy and gets rid of any stale, bad energy. Do it early so you don’t sweep out any new energy. They also remove any special cures temporary cures they put out for 2011, but not the original cures from your feng shui consultation. The original cures are permanent and are determined by the year the building was built and the direction it sits and faces. These corrections usually involve the five elements – water, wood, fire, earth and metal. (These corrections last as long as the ground underneath the roof is not exposed to the sunlight. In other words, usually until the building is torn down.) Temporary adjustments stay in place for only a year. The earth’s energy is in constant motion; the flying star method of feng shui maps out where the good and not so good energies are going to be. Annual adjustments are made to take advantage of the good energy and balance the bad energies. (Clients can request this updates by replying to this e mail address.) 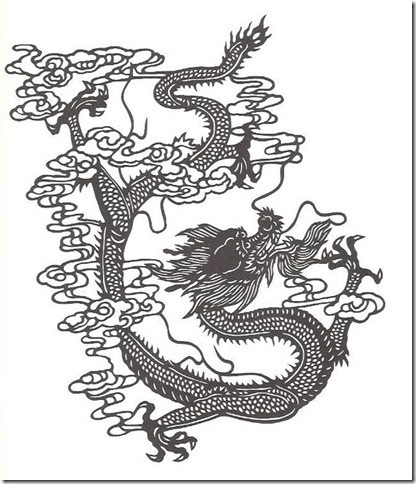 I will say this to everybody: in the year of the Dragon, the SE direction where the challenges are. By adding metal – especially metal with moving parts, like a clock with a second hand or metal pendulum that are constantly in motion – you can reduce the negative effects of this temporary energy. How will your Chinese animal fare in the year of the Dragon? The Dragon is a very powerful, dramatic, intuitive animal. This will be an important year with long term significance. Happy 60th birthday for the 1952 water dragons. (It takes sixty years for the animal sign to return in the same element (water, wood, fire, earth, metal (5 elements x every 12 years = 60 years). His friends are the Monkey and the Rat (four years either side of the dragon). They should have a pretty positive year. The Rooster is also an important ally and is due for an excellent time. Carrying a charm of a Rooster will be a good talisman for those whose animal isn’t compatible with the Dragon. Actually, everyone can benefit from a Rooster charm this year. This year the Dog will definitely need a charm. This is the Po Sui year for the Dog. Don’t worry, everybody has one every twelve years. The dog is six years away from the Dragon year (an opposition). The Pig and the Snake will have an above average year. The Horse, Sheep, Ox, Tiger and Rabbit will have a mixed bag. Life is what you make it. Isn’t that usually how it goes for all of us?